BJP (Bhartiya Janata Party) clearly seems to be the party in spotlight. With the Congress time and again showing its inefficiencies in establishing the law and order, it’s the opposition that the people are looking up to at the moment. 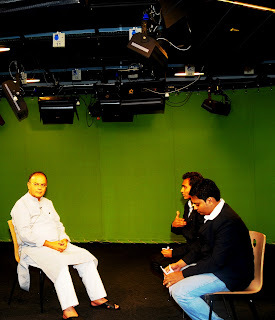 In a candid tete-a –tete, veteran leader of BJP, Arun Jaitley bares it all on raging issues of Anna Hazare, Terrorism, Anna Hazare and the political unrest in Karnataka. Excerpts from the interview.